MicroBlasting’s benefits can be a bit of a mystery. 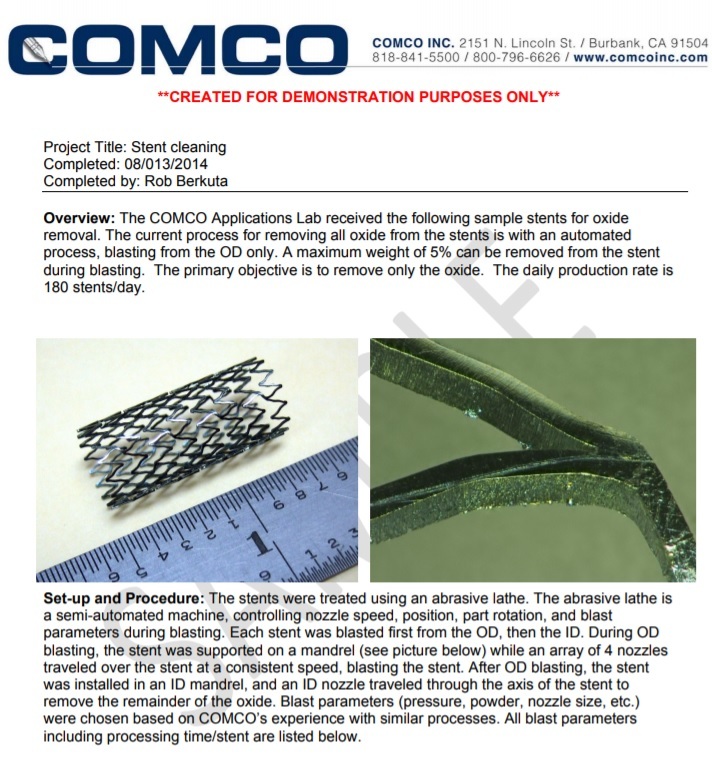 So we strive to provide a complete picture of how MicroBlasting will improve a process. In other words, we take samples seriously. What does “seriously” require? MicroBlasting is more refined than simple grit-blasting. It is complex enough to warrant having a rocket scientist on our staff! 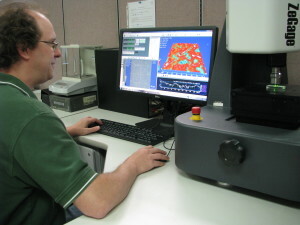 Dr. Jason McNary, Comco’s Research Scientist and Lead Developer of the Applications Lab, is one of the highly-trained specialists on our team consistently testing and refining our process and design, so we can provide you with a complete understanding of how MicroBlasting benefits production across industries. 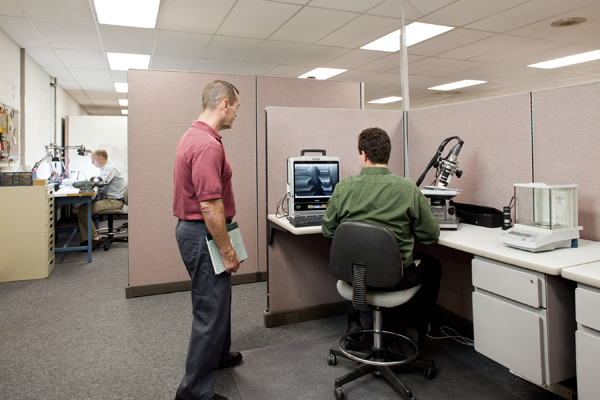 Our Technical Specialists manage most sample-part testing and processing from start-to-finish. They actively collaborate with our Sales and Engineering Teams while remaining completely accessible to you throughout the process. Our Technical Specialists provide a comprehensive report after all sample testing. Our lab contains a complete range of MicroBlasting tools—from our manual stations to the fully programmable automated systems to run your samples. Following processing, samples undergo a well-documented scientific analysis. Parts are designed smaller each year and tolerances tighter; so we regularly invest in analytical tools to keep pace, including a Zygo optical profilometer to complement our Keyence 200x digital microscope. These tools allow our team to image and extensively measure properties on even the most complicated applications. Finally, all results are captured in a clear and detailed report with pictures that you can take right back to your team along with the finished part. Our team’s goal is to make your presentation easy, so you can hit the ground running. DEMO Sample Report. Click to see full report in PDF. 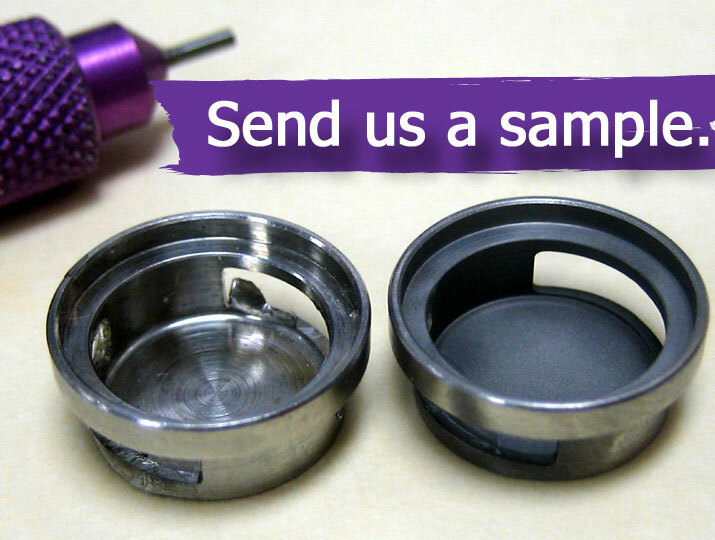 Want to Send in a Sample Part? We have an in-depth experience with a wide range of applications, but we are always interested in trying out new surfaces and intricate geometries. If you think MicroBlasting may be appropriate for your application, our team would love the opportunity to help you out. Email our Technical Sales Team, give us a call at 1-800-796-6626 or click the “Contact” tab in the menu above. 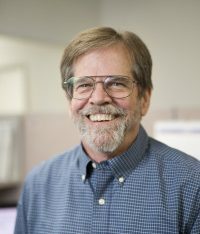 Ready to schedule sample testing? Email me or give me our Technical Sales Team a call at 800-796-6626.